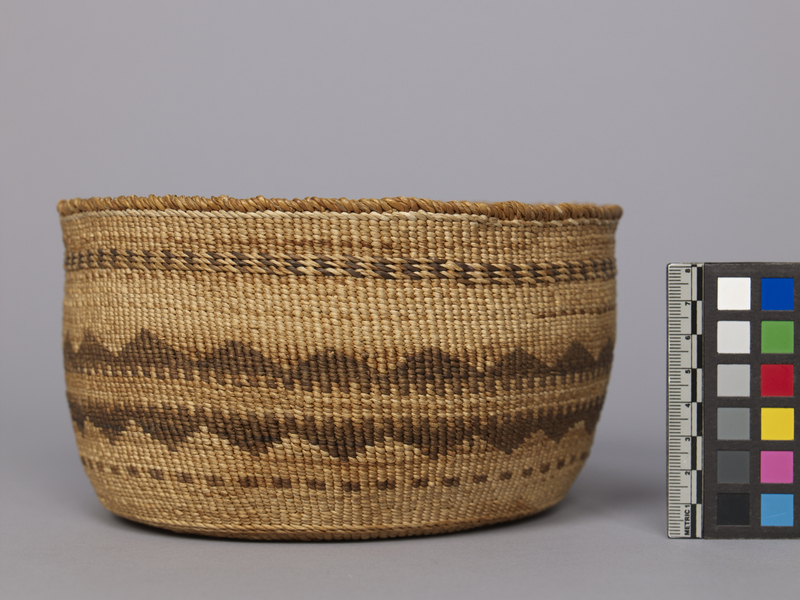 Item number 3074/4 from the MOA: University of British Columbia. Round basket with straight, upright sides. Basket is flexible and of wrapped style construction. 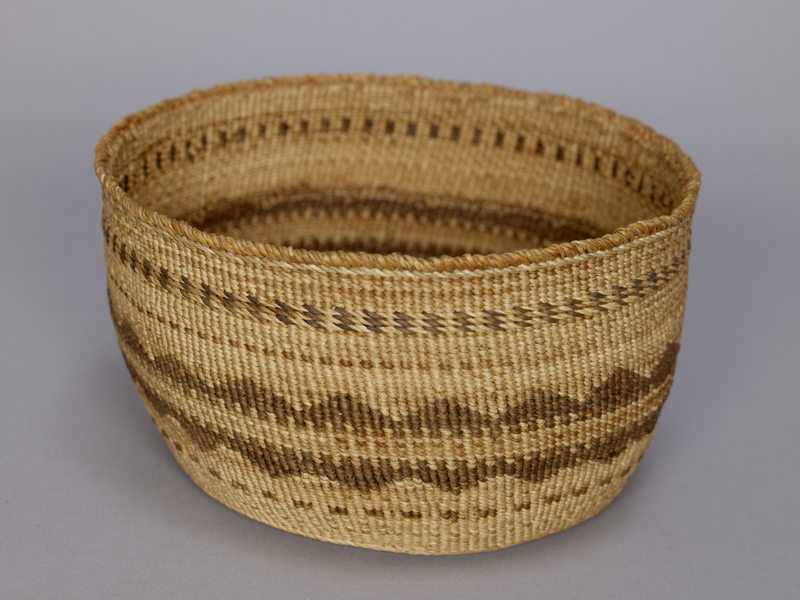 Woven decorations include three dual coloured, twisted strands of sedge root under the rim, a mirror image triangular design encircling the basket at center, and an encircling line of small squares at bottom. The base is decorated with several concentric circles of various widths. Originally owned by the donor's late husband's grandmother, Eleanor Caldwell Browne. She taught at a government Indian school in Indian Valley, near Greenville, Plumas County, California, from 1897-99. It is thought that the baskets were a gift to her during that time.